Formerly the Teatro Condominio was called Teatro Sociale , and was built in 1862. In 2006 after it had been closed for a few years, the Nuovo Teatro Condominio “Vittorio Gassman” has been inaugurated. 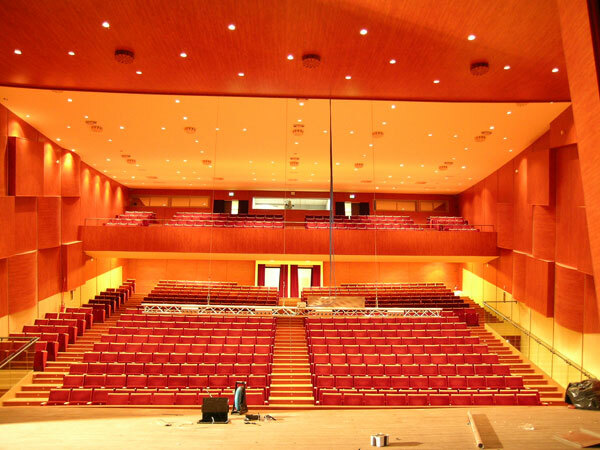 We have carried out the installation of the new stage circuits, of the stage truss, the supply of the stage electric boards, of the hall light bridge and the electric movement for the main curtain.